A Book for Little Lions Looking to Soar. ​Take a Fantastic Journey to the Real Palestine! 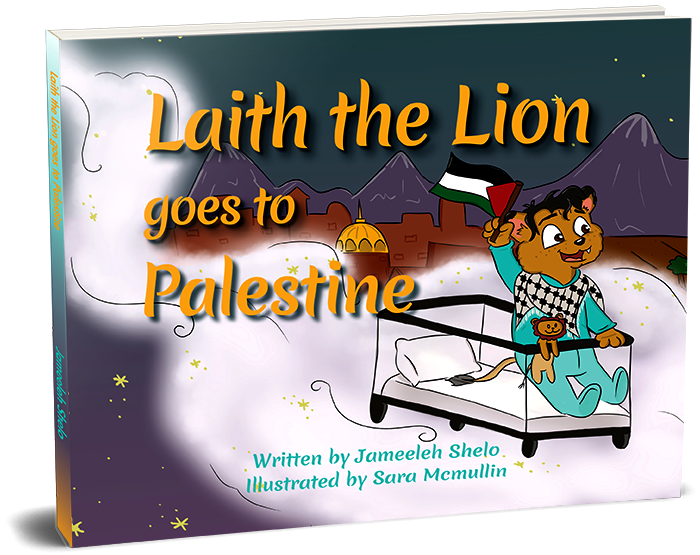 Join Laith the Lion as he takes a magical journey to Palestine! 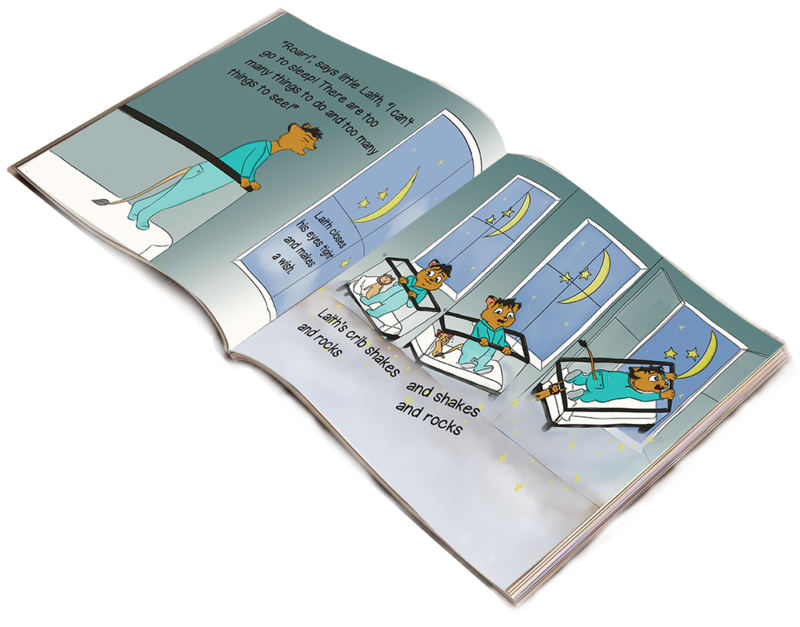 ​Little lions of any age can join Laith in his flying crib and make new friends in sunny Palestine. Inspired by the author’s son, Laith the Lion encapsulates the spirit and connection many Palestinians feel towards their culture, ancestry and homeland. It’s a journey of discovery, pride, and warmth that your child will want to experience over and over again. Jameeleh is an Emmy award- winning writer, performer, producer and mother from Chicago. She has been described as “nice”, “funny”, and “tall”. She does not disagree with any of those adjectives and hopes those are the words her son will use to describe her when he is a teenager. She is also the former Executive Director of the Chicago Palestine Film Festival and an avid world traveler. She wrote Laith the Lion because she wanted her son to see his Palestinian heritage represented in a positive light. She believes that everyone has the right to share their story and hopes this book will inspire you to share yours. Sara McMullin is an illustrator and writer who has written for PBSkids. She is also the creator of The Center Town, The Misadventures of Sea Cucumber Man, Willow, and the Stupid Pillow comic. As a child Sara’s mother gave her the option of either theater and art classes or a Bat Mitzvah. She chose the former and a love of storytelling was born (along with a few unexpected bedroom wall murals to her mother’s dismay.) With the aide of her big family she develop her talent for storytelling and her visual style. She honed her craft during college as a part time camp counselor, using her skill at storytelling and art to entertain her campers. Sara also took Arabic as a second language in college and discovered her artistic sensibilities helped her master arabic calligraphy. After college Sara developed an interest in performing comedy, improv, and sketch. This led her to Second City Chicago, where she studied, performed and worked. It was there she met Jameeleh.